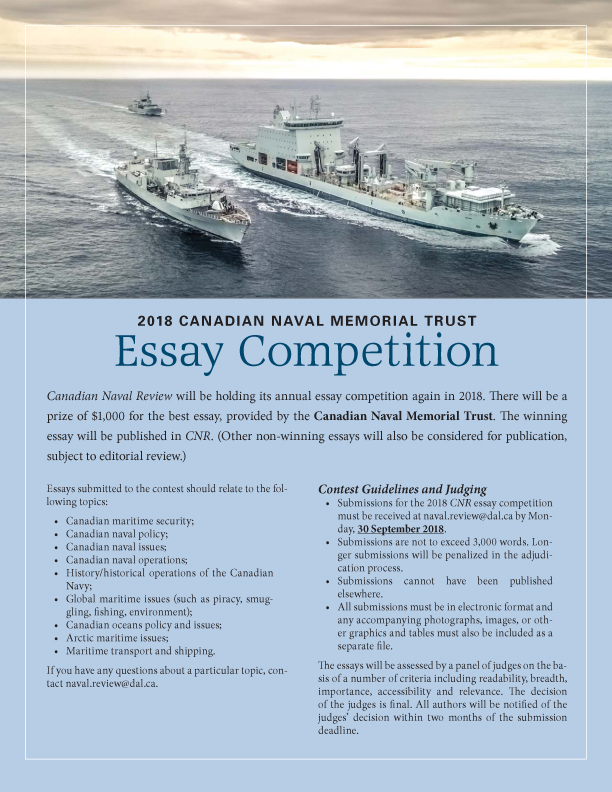 If you have any questions about a particular topic, contact naval.review@dal.ca. 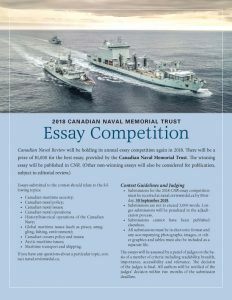 Submissions for the 2018 CNR essay competition must be received at naval.review@dal.ca by Monday, 30 September 2018. Submissions are not to exceed 3,000 words. Longer submissions will be penalized in the adjudication process. Submissions cannot have been published elsewhere. e essays will be assessed by a panel of judges on the basis of a number of criteria including readability, breadth, importance, accessibility and relevance. The decision of the judges is final. All authors will be notified of the judges’ decision within two months of the submission deadline.